SALT LAKE CITY — Thanks to social media, the keto diet is spreading like wildfire. The chances that you haven’t heard of someone “going keto” is unlikely. After all, one of the most popular keto groups on Facebook just reached 1 million followers. If consuming fatty foods, alluring weight loss claims, and fantasies of improved athletic performance intrigue you, there are several important realities you must understand first. Dating back to the early 20th century, this trendy new diet isn’t new at all. It has long been used as a dietary regimen to mimic the metabolism of fasting in the treatment of epilepsy. Two physicians from Harvard Medical school, Stanley Cobb and W.G. Lennox, were the first to record an improvement in seizures after two-three days of starvation. Additionally, they noted that a scarcity of carbohydrate forced the body to use acid-forming fat and could be maintained longer than fasting. In 1921, Dr. Russell Wilder of the Mayo Clinic named this dietary intervention the ketogenic diet after a series of epileptic patients saw improvement in behavior and cognition while in ketosis. Four years later, another Mayo Clinic physician, Dr. MG Peterman, noted the specific calculation — which is still used in the medical community. He documented and emphasized the importance of management, individualization and close follow-up of the diet. Even with the promising benefits, the physicians made a point that the diet needed close medical supervision. Today there is promising research for the ketogenic diet as medical nutrition therapy for children with epilepsy; however, it is much easier for a child’s body to achieve ketosis than an adult. “Kids are growing rapidly, so their use of food as fuel is different from the way adults use it,” Teresa Fung, a professor of nutrition at Simmons College, told Popular Science. Registered dietitian Courtney Ferreira argued in a 2017 article for the health website Well Seek that the ketogenic diet can be dangerous. If you're a fan of the "fat-burning" keto diet, you'll be fired up about its ranking in the 2018 list of best diets from US News and World Report: It's tied for last, along with the relatively unknown Dukan diet. "As a nutrition professional who has worked in pediatrics and seen children who must follow this diet, it is incredibly challenging for both the child and family. Most people who must follow this diet for therapeutic medical reasons have trouble actually reaching ketosis with diet alone and need to drink poor-tasting formula drinks to keep their carb-to-fat ratio in tight control," Ferreira wrote. "Many of these individuals must follow this way of eating to survive or have any sort of quality of life." Adhering to the keto diet for weight loss seems simple enough. Avoid carbs and ingest a plethora of fat. Due to the popularity of the diet, many people choose to follow a "modified" version without knowing much about it. If you happen to lose weight following this simplified version, chances are it’s due to a caloric deficit, not the diet itself, because achieving ketosis is incredibly difficult. It requires close calculation, test strips and supplements. Each of these components needs a great deal of thought and money. The preferred source of energy for the human body, particularly the brain, is glucose from carbohydrates. When carbs are first restricted, the body breaks down the storage form of glucose via the liver and muscles through a process called gluconeogenesis. After all the glucose is used up, the body senses starvation and creates ketones. This alternative fuel source is created through a process called ketogenesis via fatty acids in the liver. The body only reaches ketosis when carbohydrate intake is low enough, protein is moderate and fat intake is high. If protein intake is not monitored, the “fat for fuel” ideology doesn’t apply. Furthermore, just because you restrict your carbs and eat fat doesn’t mean you are in ketosis. While keto has been extensively studied as a treatment in the medical field, research in the wellness industry is limited. Registered dietitian Jessi Haggerty wrote in her blog that "the longest study that has ever been performed on the Keto Diet in a population without epilepsy is 24-weeks and was conducted on a sample size of only 66 individuals." When it comes to risks, we do know that the brain alone requires a bare minimum of 130 grams of carbohydrate each day. Without adequate carbohydrate, an individual with a non-epileptic brain can suffer from poor memory and lack of focus. Carbohydrates are also required for muscle contraction during exercise. Additionally, in that middle process before ketosis, the body breaks down muscles for energy resulting in atrophy. One of the poorly explained elements to achieving ketosis for weight loss is called the "keto flu," described as a normal side effect characterized by headaches, nausea, upset stomach, brain fog and low energy. These symptoms are responses to undernourishment. There is nothing to "get past" or suffer through. This way of thinking only exacerbates the potential that following this diet can lead to disordered eating behaviors. If carbohydrate intake is restricted too long, a build of ketones results creating a condition call metabolic acidosis. This condition is characterized by confusion, fatigue, headaches and low-bone density — all of which sounds a lot like the symptoms of the "keto flu". Lastly, the keto diet is severely low in fiber which can result in poor digestion, constipation, poor immunity and intestinal distress. It is also inadequate in electrolytes. Advocates of the diet claim all of this can be alleviated with supplementation, requiring more money. The dangers of "going keto" far outweigh any perceived benefit. A diet intended to be closely monitored for a high-risk population — a population who would give anything to follow a regular diet — has been tragically imitated by diet culture. Ketosis for weight loss is highly complicated, under-researched and unsafe. We simply do not know the long-term effects of following this diet when not medically appropriate. You would be much better off following a flexible diet full of variety and satisfaction. Devrie Pettit is a registered dietitian and owns her own private practice, Happily Fed. 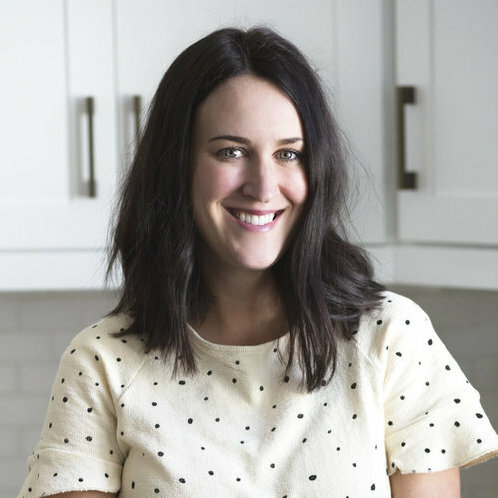 She promotes Intuitive Eating and HAES through Instagram @happilyfed and via her website happilyfed.life.